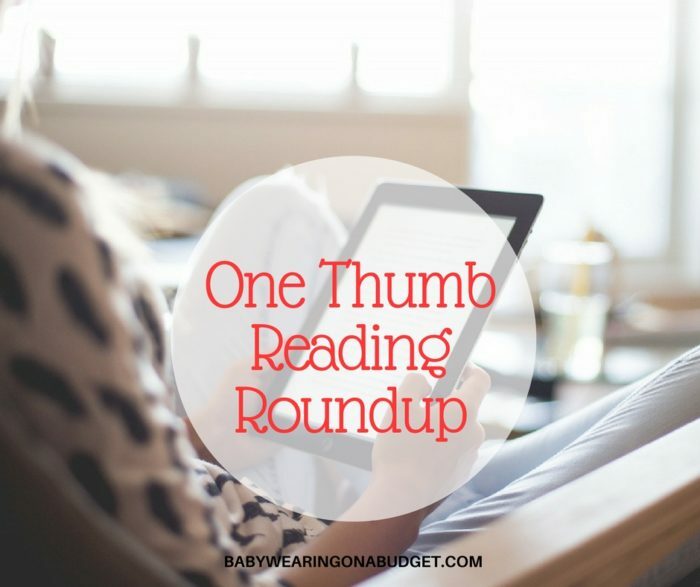 Friends, it’s been a while since I’ve gathered up some fun and bookmarked news for you. So let’s get right into it because I’ve got quite a few links! If you’re a larger parent or caregiver, Cotton Babies has listed a BabyHawk mei tai XL for $84.60. Looks like it is only in the Tangerine/Grass Rings. I would call them directly and ask what color the carrier is. I’m not sure the photo that is on the website is the right one. I found a cute ladybug wrap by Wrapsody on the Paxbaby Boutique website. It is $105 and looks like it’s a stretch hybrid wrap. Are you a fan of school busses? Heavenly Hold has the Beco Gemini in Bus Ride LE on sale for $99! You can put baby forward front-facing with the Gemini. If you’re on a limited budget, take a look at Marsupial Mamas’ Bargain Bin page. The products listed are all still good for babywearing. Contact them directly if you have questions. Butterflies!! 5 Minute Recess has the Tula Gossamer carrier for $108! Check out the rest of their March Madness sale, too. A fan of wraps? Tekhni’s Pragma line is $100. Their Steel woven is $99 – always. Check with them if there are other colorways coming soon! Woven ring slings feel so soft! Purple Elm Baby has the Girasol Atlas Ring Sling for $105. I like carrying baby on my side with a ring sling. Also great for nursing. Own an iPhone? Mark your calendar for June 30! 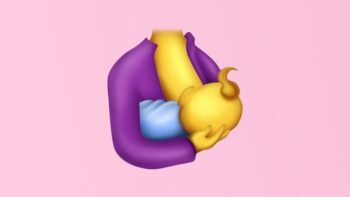 here’s going to be a breastfeeding emoji! Yeah! I streamed all of Iron Fist on Netflix. It was terrible. I’ll let this article explain. Did you watch Dawson’s Creek back in its hey day? Forever Young Adult has finally come back to the last episode of the series and reviewed it. Her updates are hilarious. Who needs snacks? The Lean Green Bean has listed a ton of ideas for make-ahead snacks for nursing moms. This is quite old but I have it favorited and I keep coming back to it. If you missed it the first time, here you go – James Corden’s Carpool Karaoke with Lin-Manuel Miranda, Jane Krawkowski, Jesse Tyler Ferguson and the queen Audra McDonald. RENT forever! 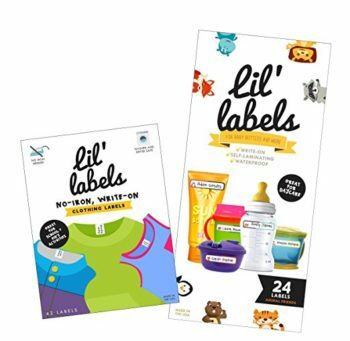 Lastly, what I’m loving this week – these Lil Labels that are waterproof and stick on pretty much everywhere. I’ve had to use quite a few for Toddler Girl’s things. We’ve lost (and found) many Rubbermaid containers and water bottles because of these labels. You just write on them with a permanent marker and pull the second clear sticker over it. Boom! There you have it! I hope there was at least one thing that interested you! Have a wonderful rest of the week, friends!